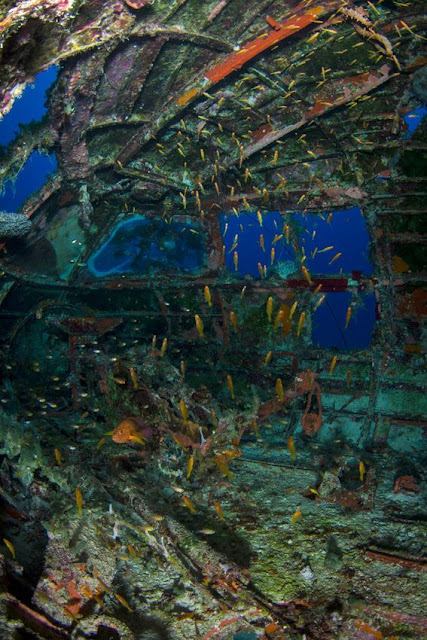 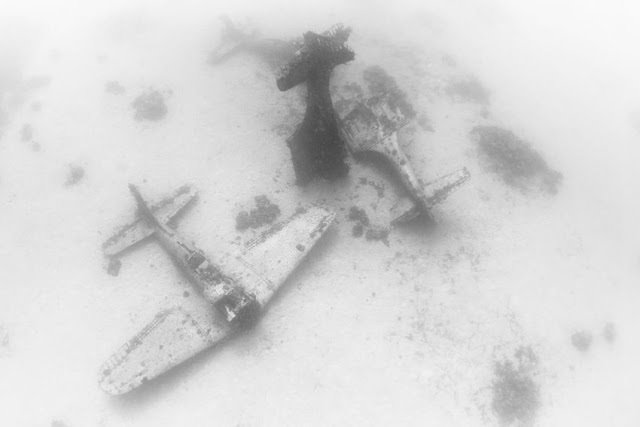 For 70 years, World War II planes have been resting in peace at the bottom of the Pacific Ocean. 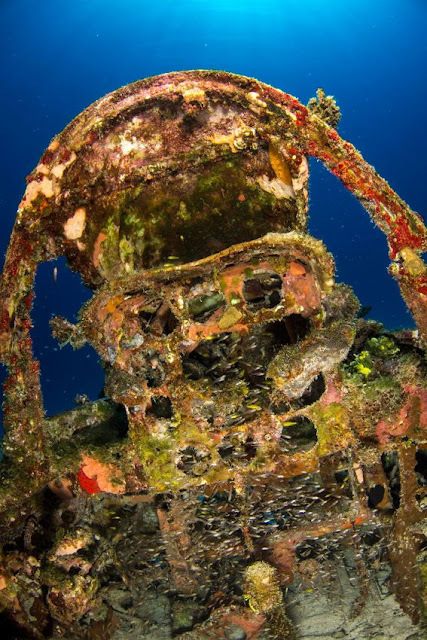 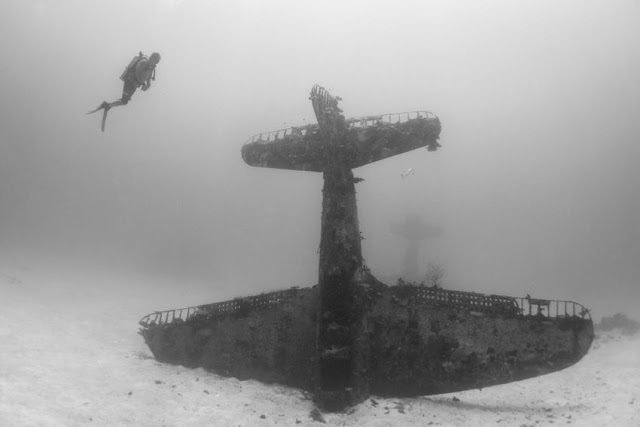 Although divers have enjoyed exploring the underwater graveyard since the 1960s, Brandi Mueller's photos allow us to admire these treasures without a wetsuit. 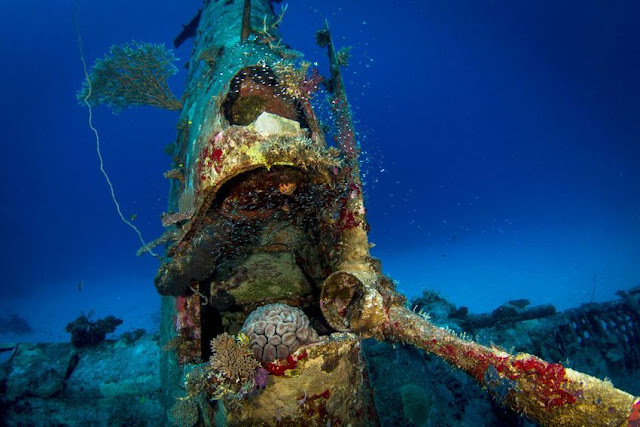 "I find diving [to see] the airplanes really exciting," Mueller, a scuba diving instructor and boat captain, told Mashable. 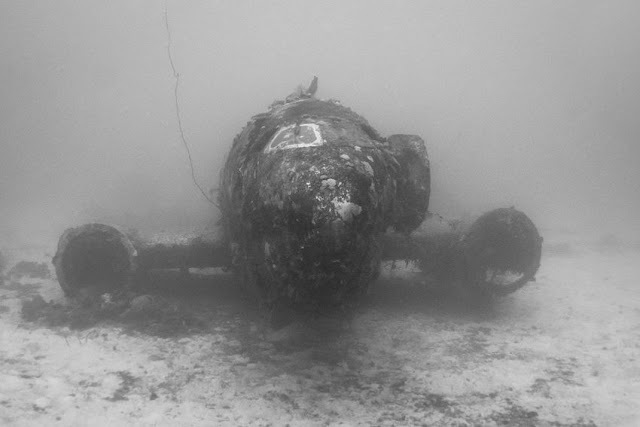 "It's a strange thing to see airplanes underwater. 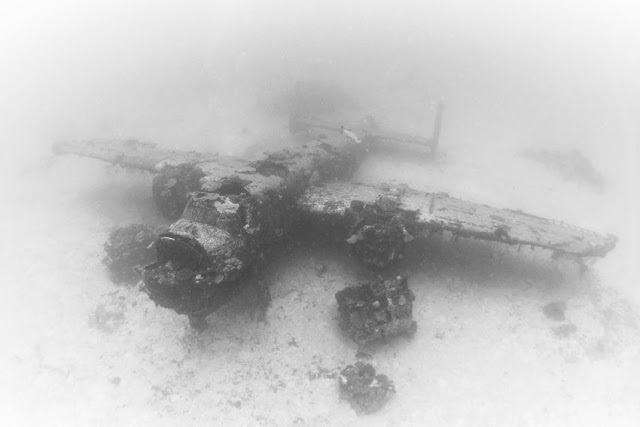 Shipwrecks you expect, but not airplanes." 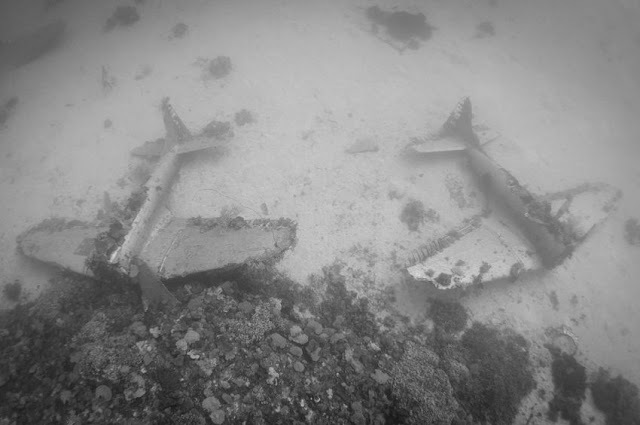 The planes didn't actually crash at this particular location near the Marshall Islands, though. 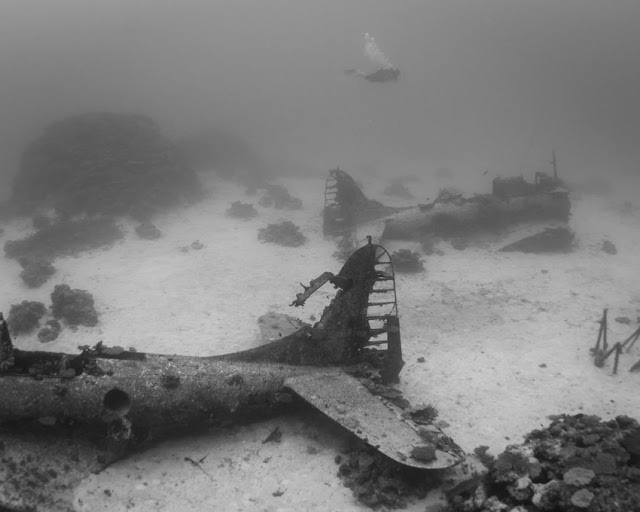 They were discarded there after WWII because it was too expensive to transport them back to the United States from the Kwajalein Atoll, according to Mueller. 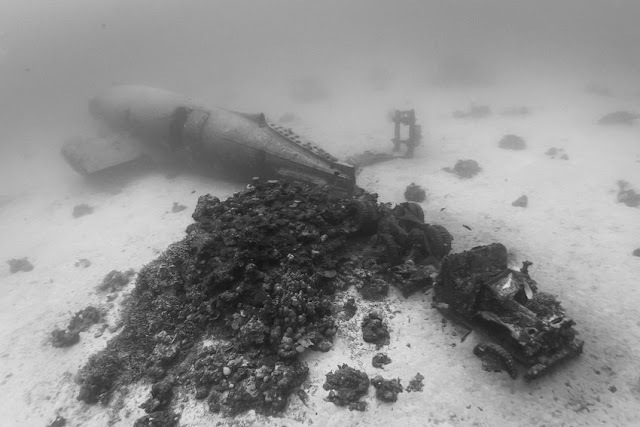 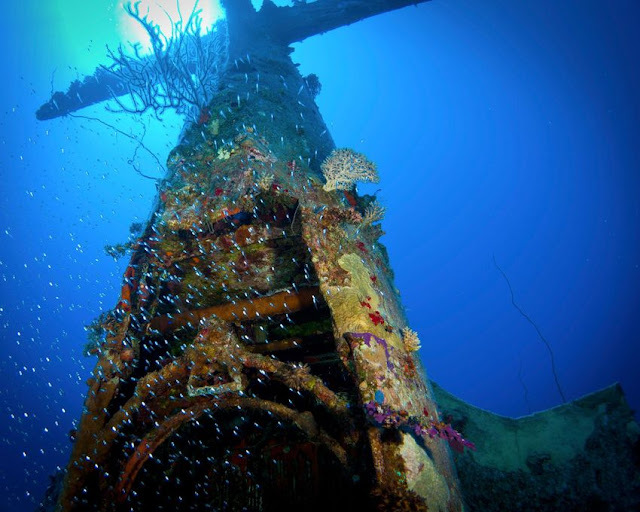 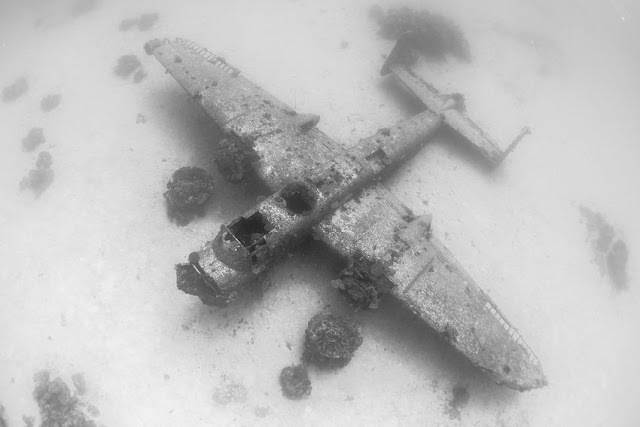 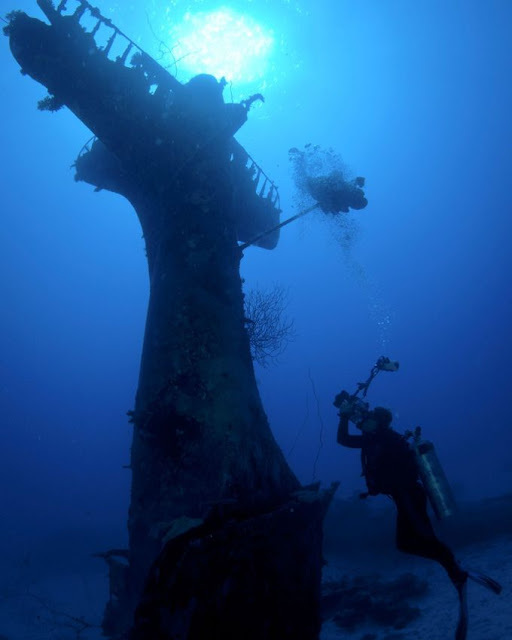 The site includes Douglas SBD Dauntless dive bombers, F4U Corsairs, TBF/TBM Avengers, Helldivers, B-25 Mitchells, Curtiss C-46 Commandos and F4F Wildcats, which sit in the sand about 130 feet below the surface.